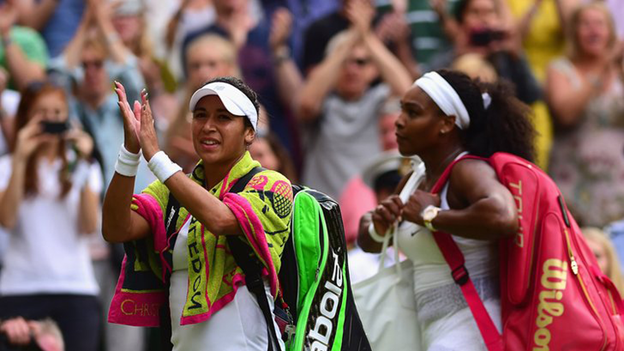 British number one Heather Watson gave top seed Serena Williams a huge scare before losing a thrilling third-round match at Wimbledon. The 23-year-old battled back from a set down, winning six straight games from 3-3 in the second set. 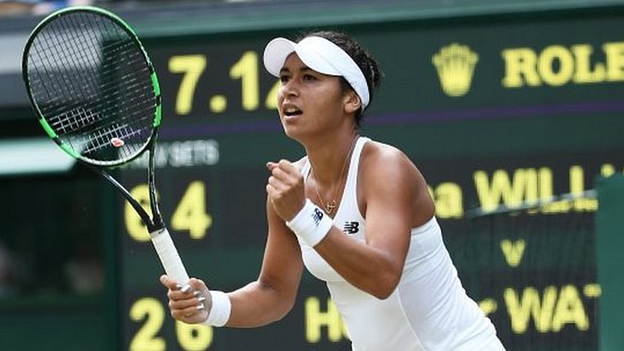 Watson served for the match at 5-4 in the decider but five-time Wimbledon champion Williams recovered to win 6-2 4-6 7-5 in two hours and 15 minutes. The 20-time Grand Slam champion will play her elder sister Venus next. The two Britons left in the men's singles, Andy Murray and James Ward, are both in action on Saturday. "I think that was one of the great performances by a female British player. Heather Watson should listen to Serena Williams saying that her aiming for the top 20 is probably setting her ambition a bit low. To me, that was top-10 tennis." Watson, the world number 59, was the last surviving British woman in the main draw and was hoping to reach the fourth round at a Grand Slam for the first time. Few people gave her a chance against the world number one, who overpowered her to take a one-sided first set in just 25 minutes. At that stage it appeared that the tournament favourite would sweep to a swift victory but Watson regrouped and began to mount a better defence of her serve. At the same time, errors began to litter Williams' game and she became visibly frustrated by her frequent mistakes. That increased Watson's belief and, as she improved, the crowd began to sense a comeback was possible. Playing inspired tennis, she levelled at one-set all and moved 3-0 up in the decider with a double break. By now, Centre Court was rocking but Watson could not maintain the momentum, losing a point that would have put her 4-0 up, and Williams fought back to lead 4-3. Watson was not done yet, however, and another break gave her the chance to serve for the match at 5-4. 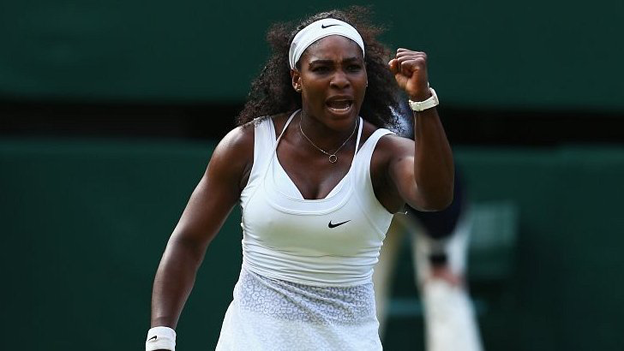 Williams has not won 20 Grand Slams without being a fighter, though, and she dug deep once again to break back and go on to win. Her victory keeps alive her hope of winning all four majors in the same calendar year, while Watson was left with nothing to show for an incredible effort.